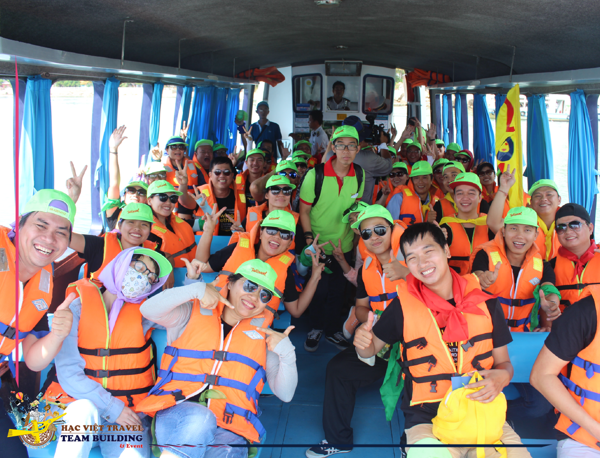 In order to have a strong team, in addition to cohesion, there must be a team of people who share the same goal and know how to work together smoothly based on the understanding of strengths, weaknesses and core competencies. For each of us to complement each other, it must be a group of personal character but on a common cultural basis, built on the principles of universal. 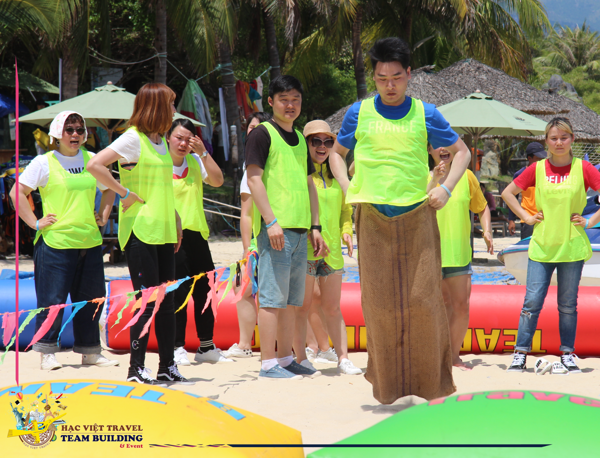 Hac Viet Travel is the only strong and professional company of Team Building in Nha Trang. 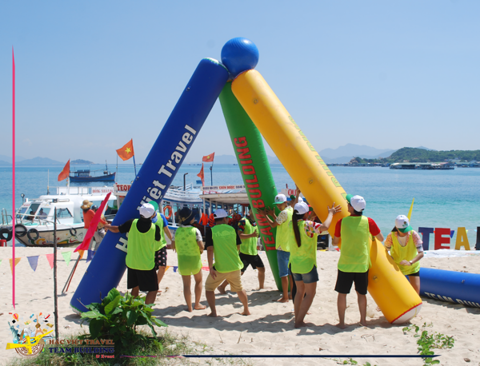 Combined with tours and events in Nha Trang. 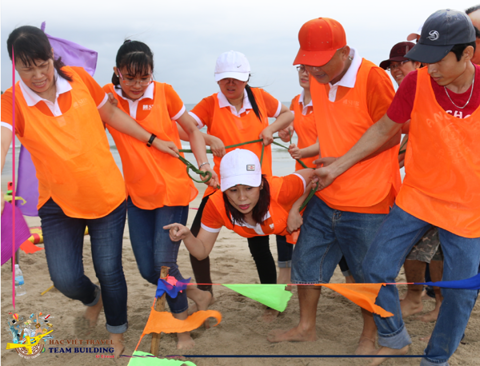 In order to have a strong team, in addition to cohesion, there must be a team of people who share the same goal and know how to work together smoothly based on the understanding of strengths, weaknesses and core competencies. For each of us to complement each other, it must be a group of personal character but on a common cultural basis, built on the principles of universal. 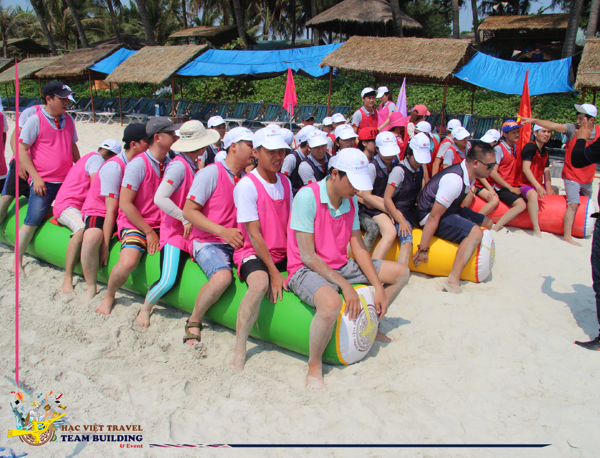 It is the result of building and consolidating corporate culture and team building Nha Trang is one of the important tools to do that. 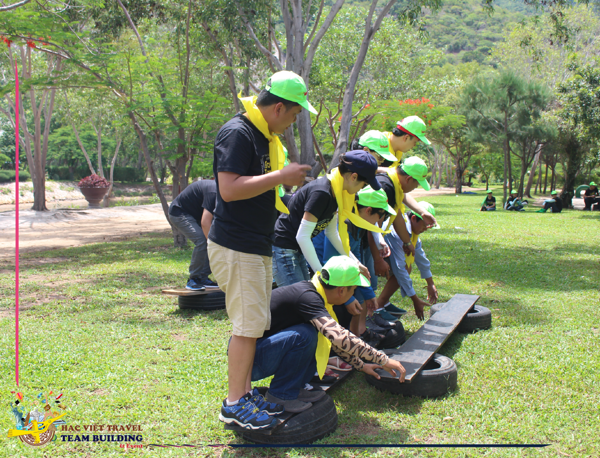 Tranfer to center of teambuilding yard. - Team dancing – creat the logo and perform with Fly Cam. - Receive confidential code - Decrypt. 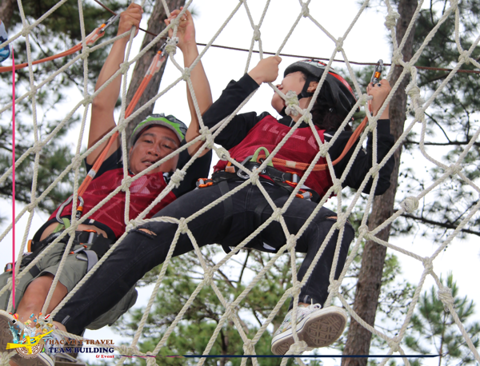 When it comes to challenging teams, the teams will experience the same seemingly normal challenges that require the combination of teamwork. 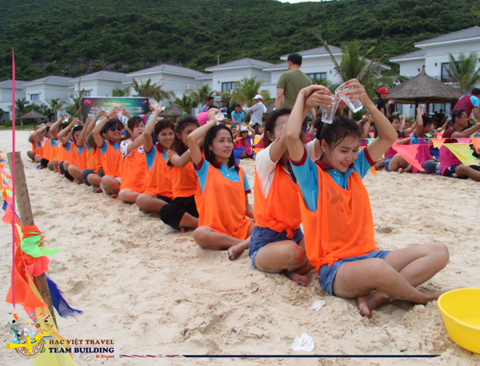 The rule: The team members will in turn seek to overcome the silk fibers that have been available. 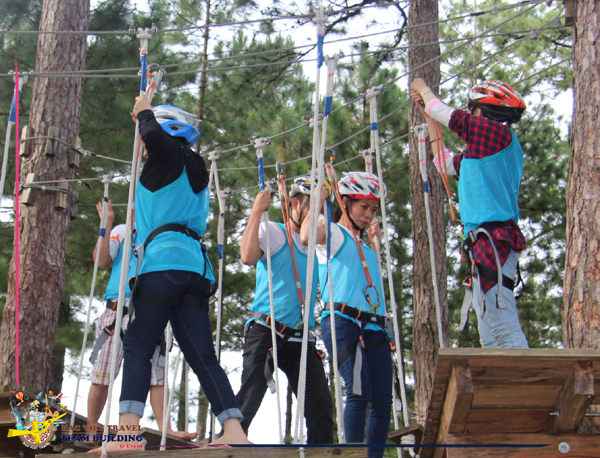 Note: During the move if you touch the rope or ring the bell, the member will have to return to the starting point. Mission: The team seeks to move the pen and write his name on it. The rule: Each team has two boards and four pads (wheels or pads). Mission: Teams move from A to B with no requirement to set foot on the ground. Note: The game requires the assertion of the captain and the rational and unified calculation of the whole team. 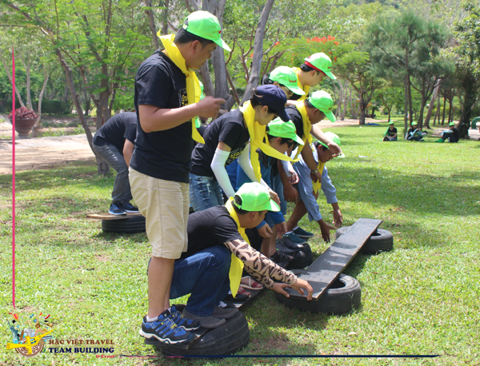 The rule: The teams are provided with one A ladder, the team's mission moves from point A to B and sends a member on the ladder, the remaining members assist their teammates move to their destination. 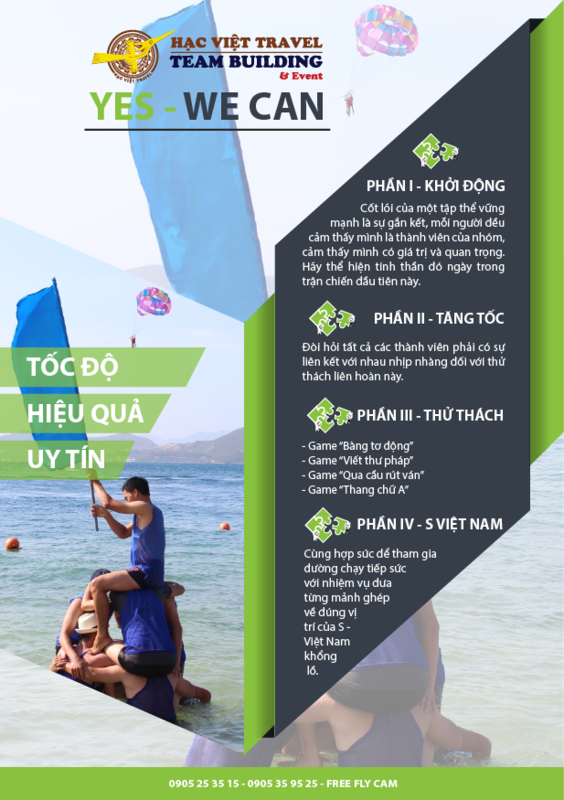 The purpose of S Vietnam game is to connect, establish and conquer the goal of making the company more sustainable throughout Vietnam as well as bringing the world-class enterprise. 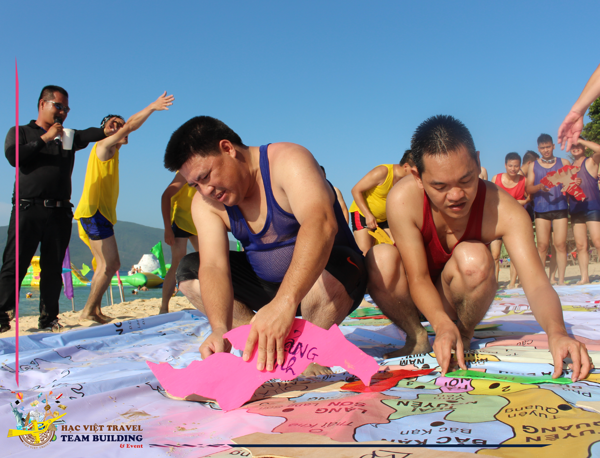 - The entire team joined the relay relay with the task of bringing each puzzle piece of the provinces back to the main map on the giant S Vietnam map. 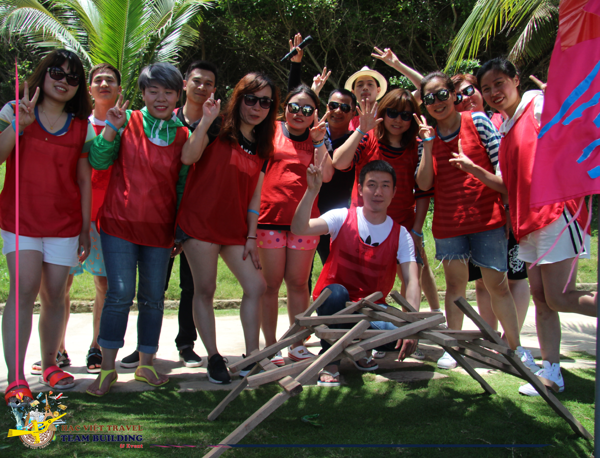 - The team that gets the grafts on the fastest and most winning team.